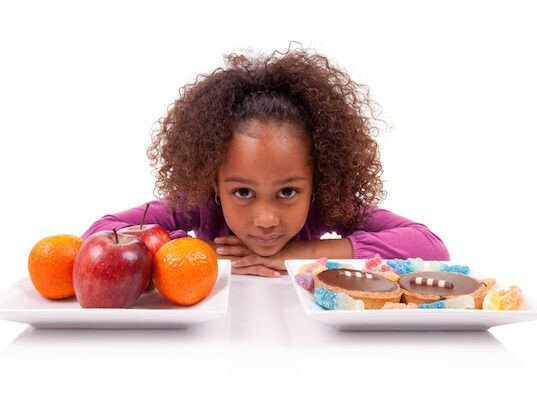 With an astounding number of overweight and obese kids and teens in the United States, we need to spread the healthy eating message to as many places as possible, including where kids spend many of their waking hours: school. The team (including Katie Couric and Laurie David) who created FED UP, a food education movie that inspired sugar-free challenges for over 65,000 people as well as healthier eating habits for thousands more, is now trying to reach as many teachers, classrooms, and students as possible through Kickstarter. Donations to FED UP’s campaign will go towards providing an education kit including a copy of the film with an unlimited use screening license, individualized lesson plans for grades K-12, and additional resources for teachers and students to set up nutrition and healthy eating programs. Children today have a life expectancy that is SHORTER than their parents, due in part to a crazy amount of sugar consumption. Despite the fact that the “safe” amount of sugar for children to consume is a mere 3 teaspoons a day, most are actually consuming around 22 teaspoons daily. Many schools are cash-strapped these days, and teachers shouldn’t have to purchase these important DVDs out of their own pockets, so the Kickstarter campaign will provide food education in places where it’s needed the most. If the future of our children isn’t reason enough to donate and to promote the healthy food movement, consider these rewards for backers: lunch from Sweetgreens, a meet and greet with singer (and health advocate) Sheryl Crow, or even a documentary film boot camp. I am excited about this project and want to know how a teacher can get on the list for receiving a FED UP movie to show at school?